Cruelty is an inherent and inbuilt part of the dairy industry, most notably as it involves the repeated impregnation of cows, and the removal (and disposal) of the babies born as a result. Like all mammals (humans included) cows produce milk because they've just given birth. 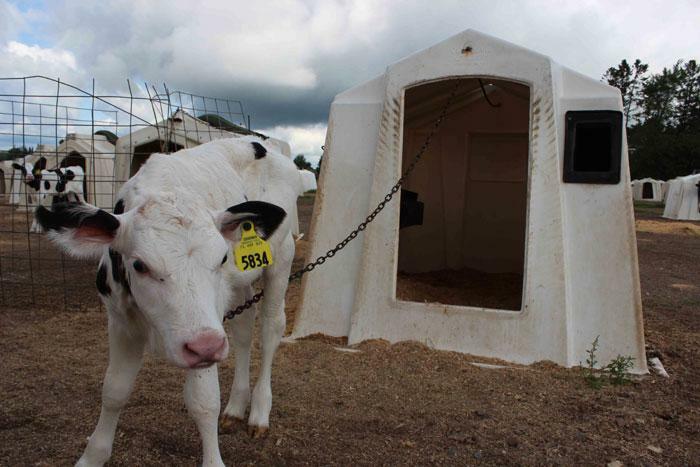 But because we want the milk instead, the calves are removed and, if male, are briefly confined and fed a nutrient-defecient diet before being killed for veal. 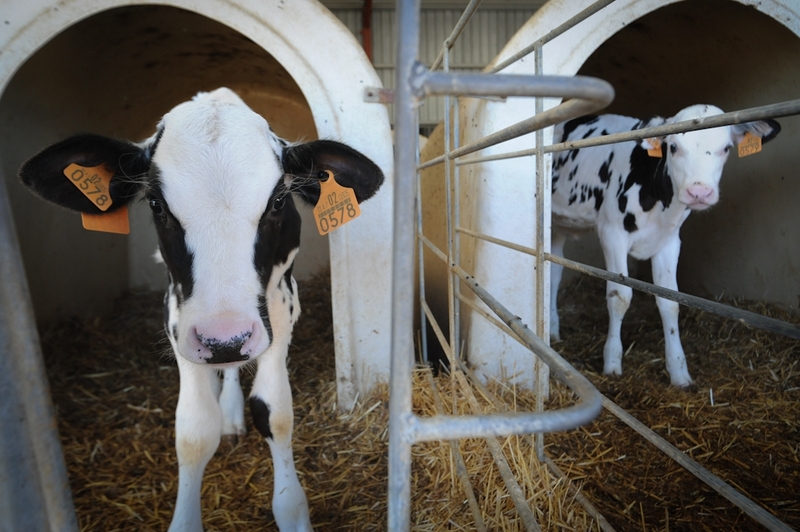 Female calves are instead raised to suffer the same fate as their mothers, and after just a handful of nine month pregnancy cycles, the cows bodies begin struggling to maintain high levels of output and they too are sent to slaughter. You can learn more about the dairy industry in my responses to the claims that taking milk from cows isn't cruel and that cows need to be milked.